Georgia State could be boasting a new state-of-the-art facility in just three short years, if all goes as planned. The new project was included in the 2019 fiscal budget presented by Gov. Nathan Deal on January 11. The total estimated budget for this project is $80 million with $60 million coming from state funding and 20 million from private funding. The proposed multi-level, 200,000 square-foot facility will be built on the corner of Fulton Street and Capitol Avenue, across from the Ramada Plaza hotel. Depending on funding, it is predicted to take 12 months for the design of the building, plus an additional 28 months for construction. The center “will be a multi-use facility and could be used for large assembly events, academic and research conferences, convocations, graduation ceremonies, athletic programs and concerts,” said Ramesh Vakamudi, Georgia State’s Vice President for Facilities Management Services. “The proposed facility will provide much needed relief to other campus buildings, which are struggling to meet the daily demands of a growing university community,” Vakamudi said. Georgia State student Angely Un was thrilled at the idea of new classrooms, saying it’s exactly what the university needs. “The new building is a good idea since they are going to have more classrooms, especially since the student population is getting bigger,” said Un. Georgia State has been forced to rely on renting buildings off campus for major programs and events due to lack of space, according to the university’s Master Plan. 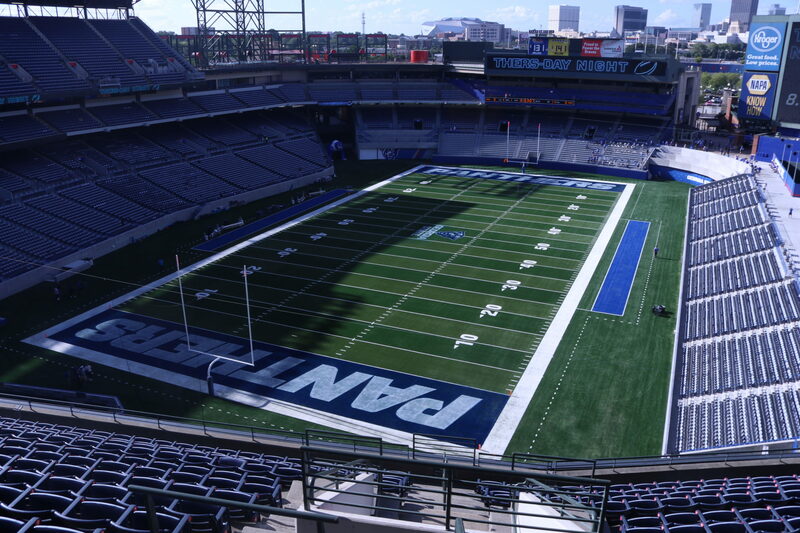 The university previously rented out the Georgia Dome for commencement ceremonies, but since its demolition, the university has had find a new venue, causing an uproar from Georgia State students. The Convocation Center would address this problem, and would provide a home to future Georgia State commencement ceremonies, as well other large assembly events, said Vakamudi. The Convocation Center would also host all future Men’s and Women’s Basketball games. The current Sports Arena, built in 1972, is “limited by building structural elements and infrastructure constraints,” said Vakamudi, with maximum capacity at 3,400 people and being unable to support any more renovations. Georgia State junior, Hailey Garner, said she has been a fan of the Men’s Basketball team since coming to Georgia State and that the Arena has needed improvements for a while. “They are a good team and they deserve to play in a stadium up to their standards,” Garner said. The new facility would bring an increase in seating capacity at 8,000 seats, as well being an upgrade in technology systems from the old arena. The Convocation Center’s goal is to bring together students for academic and social purposes. The new building will have state of the art technology, lighting, acoustics, and building control systems, Vakamudi said. The facility will have classrooms and labs for specialized programs like nursing, sports medicine, and kinesiology, as well as meeting and conference spaces. In response to Georgia State’s plan, the new facility will also help work to improve student experiences, focusing on academic programs by hosting national and international events.